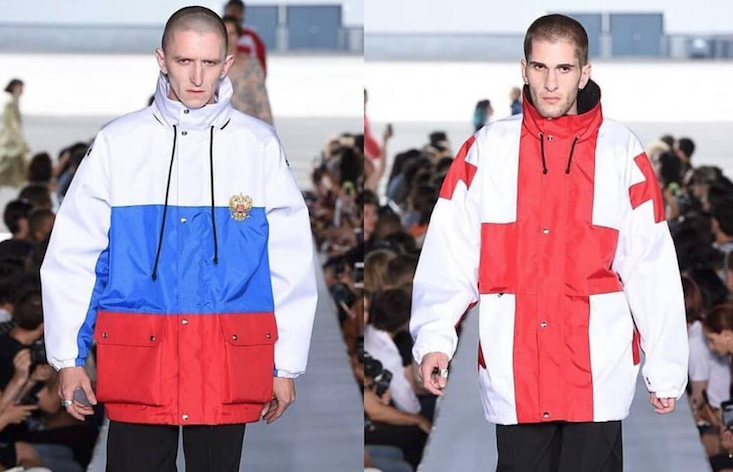 Vetements’ SS19 collection has already been hailed as game changer for Georgian designer Demna Gvasalia. Presented under a flyover in central Paris, the collection featured the same loose silhouettes and street-inspired layers that made the designer one of fashion’s most talked-about names. But this season’s edit was also highly personal, with a nationalistic flair that dominated the catwalk. Gvasalia says the new designs draw on conflict he witnessed in 1992, when the self-declared Republic of Abkhazia violently broke away from the newly-independent Georgia. The designer and his family were among those who fled their hometown of Sukhumi to escape the fighting, which saw Abkhaz troops commit large-scale atrocities against Georgian civilians. Apart from the collection’s militaristic undertones and lavish use of Georgian lettering, you can spot Gvasalia’s new direction in the QR code graphics printed onto some of his latest pieces. When scanned using the soon-to-be released Vetements app, they’ll take buyers to the Wikipedia page detailing Abkhazia’s ethnic cleansing.